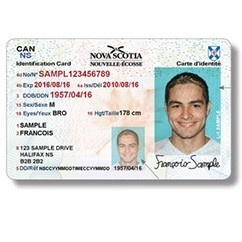 We recommend applying for a Nova Scotia Identity Card (NSID) when you arrive in Halifax so that you do not have to carry around your passport to prove your age and identity. It's quick and easy to get one at Access Nova Scotia and costs only $17.70 (think of the hassle and money you would save if you lost your passport!) Don't forget to bring: your passport, study permit AND DalCard (student ID)! Congratulations! It's official— you will be visiting Dal to study! You're a Dal student! Now that you've been accepted to study at Dalhousie, you have an important check list of things you must do. The following check list will help guide your preparations for coming to Dalhousie. In order to study in Canada for more than six months, you must apply for a Study Permit at the nearest Canadian visa office in your home country. In addition to the study permit, you may be also required to obtain a Temporary Resident Visa (TRV) which gives students permission to enter Canada. It is only required for citizens of certain nationalities. Please check the list of countries and territories whose citizens require an entry visa. If you are studying in Canada for less than 6 months AND choose not to apply for a study permit you will have to apply for an Electronic Travel Authorization (eTA). It allows you to work part-time on campus while studying in Canada. A part-time job can be a great source of income while abroad. It is easy to extend if you want to stay in Canada longer. Some students love it here so much they want to stay longer. This could be you! It is much easier and less expensive to apply for a study permit before you begin studying in Canada, than after. It allows you to access cell phone plans and other utilities much easier. If you are simply a visitor to Canada you may not have access to alot of great utility plans and other business options that students with study permits can take advantage of. A study permit gives students permission to undertake academic study in Canada and is required for students in programs that are longer than six months in duration. However, CIC recommends that "even if you do not need a study permit, it is a good idea to apply for a permit before you come to Canada." In addition, having a study permit will allow you to work on campus if you wish to do so. For detailed information on the study permit application process and the documents required, please visit the IRCC website. To apply for a temporary resident visa, visit the Immigration, Refugee, and Citizenship Canada website to access the application form, an application guide, costs, and further instructions on how to apply. Applications for TRVs must be processed outside of Canada. You must also consult the Canadian Visa Office serving your country or region of residence as each office may have its own requirements. When applying for a study permit and/or TRV, processing time can take several months, therefore apply early. To know how long it will take for your application to be processed, visit the CIC website for current application processing times. Citizens of my country need an eTA. How should I apply? Step 3: Answer the eligibility questionnaire. Answer all the questions that follow. Step 4: Pay the eTA application fee of $7 CAD online with a credit card (VISA, MasterCard, American Express). Please do not forget to print a receipt. Note: If you apply for a study permit on or after August 1st 2015, you will automatically be issued an eTA along with your permit. Apply for an eTA a month in advance of the date you plan on travelling to Canada. How long will my eTA be valid? You can verify the status and expiration of your eTA by using the Check eTA status tool. To do this, you will need the eTA number noted on the email confirmation and details from the passport you used to apply for your eTA. 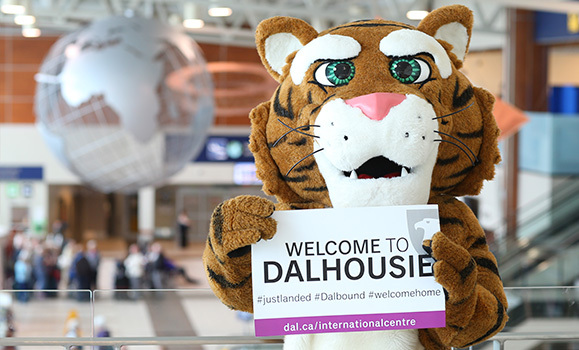 Once you have received an acceptance letter from Dalhousie University and secured financial assistance, you should begin the process of applying for your study permit and or visa immediately. Processing times can take several months. The primary focus of your application is your intent to study in Canada. Do not recommend mentioning other long term interests. You may be required to do a medical exam as part of your application. Keep a copy of the medical reciept/certifcate. You may need it for future immigration applications. Bring this receipt with you when you travel to Canada. The Canadian visa office will issue a letter confirming the approval (included in the package sent back to you). This letter is not your Study Permit. Show this letter to immigration officials when you enter Canada. You will then be issued a Study Permit. After you pay your admissions deposit, you can set up your email (allow one or two days for your payment to be received). Your Dal ID begins with B00 and appears in the top right hand corner of your acceptance letter. It is the primary way we identify you as a student. Your Net ID is a unique username that you will use to login to Dalhousie’s online services. Go to my.dal.ca. Click ‘New User?’ and follow the instructions. Click ‘Activate my NetID’ and follow the instructions. This will help you recover your password if you forget it during your time at Dalhousie. Click ‘New User?’ and follow the instructions. Now that you have your Net ID and password, you can access your Dalhousie email account by logging into MyDal and clicking on "Outlook" in the top menu. IMPORTANT: Your Dal email is where all official university information is sent, including details about orientation, residence, tuition fees, health plan, and more! Your profs will likely use it a fair bit for class info as well. Make sure you check it regularly! To learn more about you Dal email, visit the Email webpage. Here is where you'll learn how to create a personalized dal.ca email address (with your name instead of a bunch of numbers!). As an international exchange student, your process for registering for classes is very different from other students. When you receive your acceptance letter, there will be information provided to you about how to select and register for your classes. Have this document handy when you start to officially register. Class registration can seem complicated, but it’s important to take care of it as soon as possible. PLEASE NOTE: It is not possible to register for courses without having been admitted to Dalhousie as an exchange student. Registration for classes will depend on the type of exchange program you are in (see below). Department-Specific Exchange Programs: Contact the administrator of your particular program for assistance with class registration. Admitted exchange students will receive documentation in their welcome email which explains how to obtain permission to register for courses. Exchange students submit their first Class Request Form when they apply to Dalhousie University. Use this form for all subsequent requests. Please consult the Academic Timetable to fill this form out properly. Submit your completed Class Selection Form to the International Centre. University is more than a learning experience – it’s a living experience! Residence is a great way to make friends and get involved in the Dal student community. If English is not your first language, on-campus housing provides a relaxed and friendly environment in which you can develop your language skills. Students choose from a variety of different styles of residence – all are conveniently located and offer meal plans. Learn more about Dalhousie residences. Room assignments will be emailed to your Dal email as they are processed. NOTE: If you are coming to Dalhousie on exchange for the fall term only (September–December), unfortunately there is no space available in residence during this period - see off-campus housing options. Students who come to Dalhousie for the winter term only (January–April) or for a full academic year (September–April) may inquire with the Residence office directly about availability. Find your home away from home. There are many off-campus housing options within walking distance or along bus routes and meal plans are also available to non-residence students if you choose to live off-campus. View listings on Dalhousie's Off-Campus Living website, which can also help with your search and provide tips to prepare you for off-campus living. Orientation is the best way to get all the information you need to know about life at Dal and in Halifax and meet other international students. Read below for a full schedule of Start On Track International events. There are several options to travel from Halifax airport to your accommodations. All the important things you have to do before you leave home and after you arrive on campus. Make this the top of your "to-do" list. Our helpful tips can help answer many of your questions about Dal, from getting your bus pass to accessing campus WiFi and where to buy groceries. Make sure to check out the tips for international students. Welcome to Nova Scotia, Canada! The moment you have been waiting for is finally here! Your plane has landed at Halifax Stanfield International Airport and you can't wait to get to your new home. Once you have made your way through Canadian Immigrations and Customs (where you will get your study permit). When you arrive at the airport in Canada, you will pass through Canadian Immigration. Tell the immigration officer that you are coming to Canada to study and present to the officer the following documents. This is the letter you receive from the visa office if you applied, and have been approved, for a study permit. It is sometimes called the letter of introduction or introductory letter. Officially, it is called the Port of Entry (POE) Introduction Letter. Valid passport, with Temporary Resident Visa (TRV)/entry visa (if required). An original or copy of your letter of acceptance from Dalhousie University. Letters of reference or other documents recommended by the Canadian embassy, consulate, or high commission. Keep all these items in your carry-on luggage, as well as cash, traveller’s cheques, and other valuable documents with you. Do not put them in your checked baggage. Respond to all questions the immigration officer asks you with clear, simple answers. Service is available in English and French. If you do not fully understand the questions, ask for an interpreter. They are available in many languages. After the officer processes your information, they will give you a Study Permit (a piece of brown paper that is often stapled to your passport). DO NOT leave the airport or border until you have a Study Permit issued by an immigration officer. You should check your permit for errors before leaving the immigration officer. It is much easier to have the Officer fix them immediately, than to try to get them fixed later. If you are a student who expects to work during your time in Canada, it is very important to check for conditions that include the words “may work” or “may accept employment.” If your study permit does not include those words, please tell the immigration officer who issued your permit, as all post-secondary students should include such conditions. When you arrive at the airport, you will have to declare your personal items with the Canadian Border Services Agency. Prepare a list of all the goods you are bringing into Canada in advance (e.g., clothing, electronics, etc.) including vehicles. Be prepared to show your list to the Canada Border Services Agent. Make two copies of the list. You can bring in other non-consumable goods (e.g., clothing, electronics, etc., BUT NOT food items from your home country) after your initial arrival, but you must report these goods to the Canada Border Services Agency. They will require a refundable deposit. Your tuition fees are paid to your home university. There are some fees you will be responsible for paying during your time at Dalhousie. Please see Student Fees at Dal for more details. You are responsible for paying all your tuition fees to Dalhousie University. You can access your account statement through DalOnline, under Web for Students and Student Records. Your account statement will include your list of payments. You will be able to see your full list of payments a week or two after the beginning of each term. Outstanding balances must be paid by late September (fall term) or January (winter term) to avoid interest and related fees. Fee payment instructions can be found on the Money Matters website. Your DalCard is more than your official Student ID Card – it’s a debit card, library card, gym pass, key to residence and bus pass! You can go to pick up your DalCard at the DalCard Office. If you submit your DalCard phonto online and register for orientation you can pick up your DalCard at the International Centre on Monday August 29 or Wednesday August 31 (10am-12pm). Note: You must present one piece of government issued photo ID such as a driver's license or passport to pick-up your DalCard. If you’re a full-time student in Halifax, a Metro Transit UPass is included in your tuition. The UPass is a sticker placed on your DalCard and will act as your bus pass until April 30, 2017. For more information about the UPass, visit dal.ca/upass. As an international student, you must get both the Health and Dental Plan AND the International Student Health Plan. If you start school in September, you are automatically billed and enrolled in both. If you start school in January or May, you are only enrolled in the International Student Health Plan and so you must opt-in to the Health and Dental Plan. For more information, visit the Student VIP website or contact the DSU Health Plan office. The DSU Health and Dental Plan provides coverage for medical, dental, travel, accident, vision and many other services and perks. The DSU International Student Health Plan provides international students with basic health insurance coverage such as doctor and hospital visits. This plan is different from the DSU Health and Dental Plan above. The DSU International Student Health Plan is required unless you carry MSI or equivalent insurance. If you already have comparable health & dental coverage, you may be able to opt-out. Opt-out deadlines are strict so please visit the StudentVIP website for more information. Pick-up your health insurance card/s from the DSU Health Plan Office, located on the 3rd floor of the Student Union Building. Below is a list of banks in Halifax, Nova Scotia. Visit their website to learn more about student banking. Additional incentives e.g. points card for movies, etc. Cell phone plans can vary amongst providers. It is a good idea for you to explore your options before signing a contract. Here is a list of the main cell phone companies. Verizon Wireless and AT&T provide a nationwide plus Canada plan that makes it easy to call home and anywhere in Canada (and the US) at no extra charge, eliminating long distance charges and the need for calling cards. Visit the Verizon wireless website (www.verizonwireless.com) or AT&T website (www.att.com) for more details. If you live in residence, you will have access to high-speed Internet, which includes both ethernet and wireless connected. Find out everything you need to know about campus with our helpful tips guide for new students.